This post is sponsored by Oil of Olay and Walmart through Acorn Influence. I participated in the 28-Days of Olay skin study. Opinions and results are all my own. Last month I started partaking in the Olay 28 Day Skin Study (#28DaysofOlay). It’s a great way to try out Olay products and find the right mix of their products. 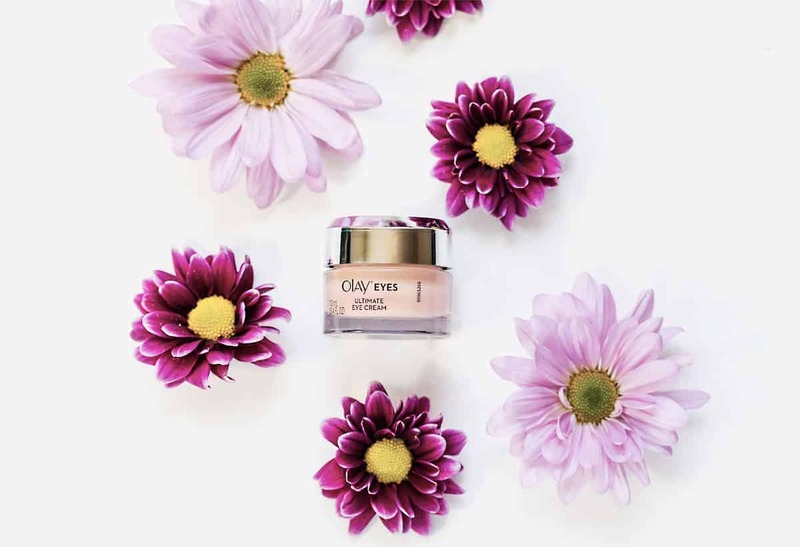 I knew that Olay has gone through some major changes and is redefined, now becoming popular with many of the younger and cutting age ladies and girls that I know. I was excited to partner with the company and try the products over the 28 days to see the clear differences that they makes. I downloaded the Skin Advisor app on my phone to get my own personalized skincare recommendations, which will help me achieve softer, more age-defying skin. The app is very easy to use, I snapped a photo of myself without make up and upload it so Skin Advisor can analyze my color, eye lines, wrinkles and even giving me an age estimate. It’s quite awesome, right? 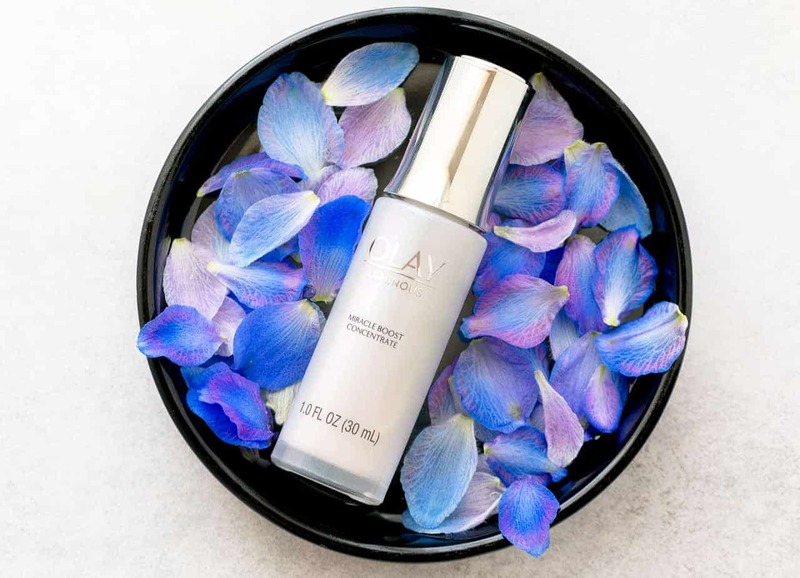 The Olay Skin Advisor recommended two Olay products for me to try: Luminous Miracle Concentrate Face Booster and Olay Ultimate Eye Cream, which will help fade dark spots around my face and also to help in fighting the dark circles, wrinkles and puffiness around my eyes. I picked up both products at Walmart while on my regular trip, awesome that Olay is sold there! Feeling beautiful is very important and as I get older, and it’s important to note that I believe true beauty is more often found in keeping our underlying features healthy and pure, rather than covering them up with a lot of makeup! 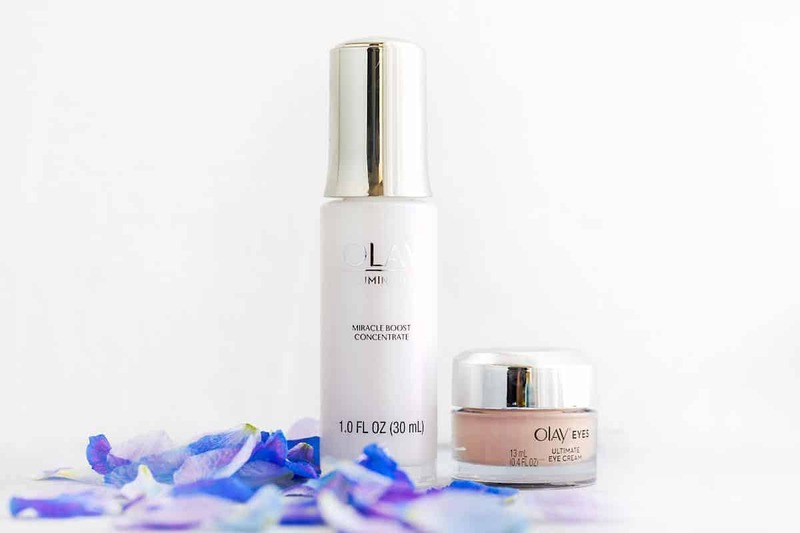 After using Luminous Miracle Concentrate Face Booster and Olay Ultimate Eye Cream for 28 days, I can see a noticeable improvement on my skin face and around eyes. My skin feels softer and brightened. And my favorite part? I stopped having to wear my liquid foundation and concealer for cover up. Because my skin looks healthier, I only need a small amount of BB cream and finish up with translucent powder, a pink blush. My husband compliments my new look! Pick the right moisturizer that suitable for your skin type. Use Skin Advisor for their recommendation (so cool to have a tool for this rather than going it alone). Limit fried foods and greasy foods. Skip heavy foundation. A good alternative: BB Cream. Use creamy blush to achieve a fresh looking face. Skip matte lipstick, use tinted lip balm or lip gloss instead. Curl your eye lashes and apply clear mascara to make your eyes look bigger/wide awake even when you’re tired. Visit skinadvisor.olay.com on your mobile device, upload your photo and get your personalized skincare recommendations! You can purchase any Olay products at Walmart stores near you. I need to give this a try. I love Olay products. They’ve always done a great job for me. I’ve always loved Olay products. Now that it’s spring, I’d love to switch up my skincare routine as a whole. I’m an eye cream junkie. Great tips! I agree fully with BB cream over heavy foundation. I use BB cream or just a thin layer of natural mineral powder foundation. I have done this for the last 7 years or so and my skin is far healthier for it! I love Olay products, by this, my skin looks healthier more and more! Thank you for the great tips. The Olay Skin Advisor app sounds amazing and I am going to have to try it for sure. I will have to share this with my sisters too. I have not used Olay products for many years now and with the improvements I am going to have to start again. Thanks for sharing the tips and the information. Great Tips! Thanks for the information. I must try this for real. I would love to try the Olay Skin Advisor for personalized skincare recommendations. Olay is a great brand and I’ve been using their moisturizer for years. I would love to try these products. I just love Olay products! Now that I am approaching 30, I need to start a skin care routine. I love Olay products. They always have some of the best products. I’ll have to keep an eye out for these ones too! I have really enjoyed some olay products, great to hear new opinions! I need to grab some of this for my face. Right now, I am not using a moisturizer and probably should be. Olay has been around for ages and I trust it. I have heard many good things about Olay products! It is so important to ensure that you are moisturizing. I’ve used some of their eye cream before. I enjoyed it and I always felt refreshed afterwards. I have been having a hard time with my skin. I can’t wait to try some of these suggestions! I have heard some really good things about these new Olay products!! I need to try them, especially the eye cream!! I love you beauty hacks for glowing summer younger skin! I am actually going to use more tinted balm this summer too!